March 23, 1928 - April 12, 2019 Kennett Square, PA | Age 91 Loving Father,Grandfather and Friend. CLAUDE J. “June” WATSON, age 91, of Kennett Square, PA, passed away on Friday, April 12, 2019, at Penn Medicine Hospice. He was the husband of Virginia Roark Watson who passed away in 2013, and with whom he shared 66 years of marriage. Born in Mountain City, TN, he was the son of the late Claude Watson and the late Winnie Graybill Watson. Claude worked in the mushroom industry and in various paper mills in Delaware. He retired in 1986 after 18 years of service at the Curtis Paper Co., in Newark DE. He enjoyed vegetable gardening, outdoor landscaping, helping others, and being with his family and friends. He is survived by one son, John F. Watson and his wife Melissa of Hockessin, DE; one daughter, Christina Watson of Smyrna, DE and one grandson, Harry Knotwell. 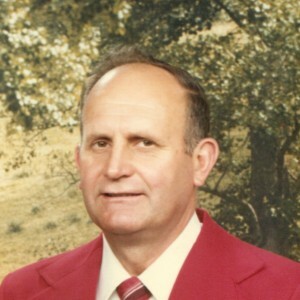 Claude was predeceased by one daughter, Sheila Watson Knotwell; one son, Kenneth Watson; two brothers, Jay Watson and Walt Watson and one sister, Beatrice Taylor. You are invited to visit with his family and friends from 11:00 to 12:00 on Monday, April 22, 2019, at the Kuzo Funeral Home, 250 West State Street, Kennett Square, PA. His Funeral service will follow at 12:00. Burial will be the Union Hill Cemetery, Route 82, Kennett Square, PA. In memory of Claude, a contribution may be made to the Penn Medicine Hospice, 400 East Marshall Street, West Chester, PA 19380. Please enhance this tribute to Claude by adding your memories. My sincere condolences to all the family on the passing of a hard working man and a true gentleman. I can remember years ago Harold and I visiting him and Virginia many times. May the many memories you have help you get through this very difficult time. May he rest in peace. Take Solace in all your fond memories of him. He once fed us lunch with a stew he had made. As we finished,he turned to us and said “Squirrel meats a little stringy, huh?” I still smile thinking about it. Our thoughts and prayers are with you, Tina, and the whole Watson family during this difficult time. Mr. Watson seemed like such a nice and hard working man…I know how much he will be missed. Frank, Missy, Christina and Harry. Sorry for your loss. Although, I never knew June, he raised a great group of people.